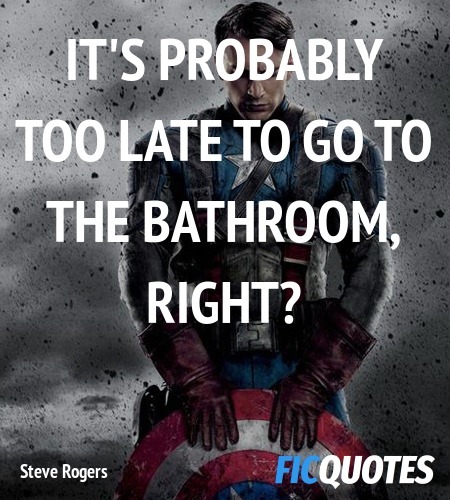 It's probably too late to go to the bathroom, right? Peggy Carter: Tell me, did you truly like your friend? Did you respect him? Peggy Carter: Well then, stop blaming yourself! Give your friend the respect of making his own decisions! Peggy Carter: You can't give me orders! Steve Rogers: The hell I can't! I'm a Captain! Give your friend the respect of making his own decisions!